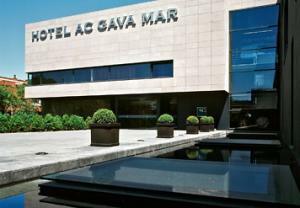 AC Hotel Gava Mar is an urban hotel with 69 fully-equipped bedrooms and is equipped with all the facilities, quality and comfort that AC Hotels is renowned for. Hold events, business meetings and business or private ceremonies in one of our five beautifully appointed meeting rooms at an unbeatable location next to the beach. Indulge in a fine dining experience at Les Dunes, where chef Gastón Leyendo and his team create a season menu sure to delight. Take a dip in our outside swimming pool where you can relax and find peace from the stresses of the day. Stay in shape and keep healthy at our Fitness Center. AC Hotel Gava Mar hotel was built in the exclusive Gava Mar urbanization. It has quick access to the historic centre of the city, the Gava Museum and Botanic garden, the Minas de Gava Archaeological Park, the financial centre and Barcelona Airport. AC Hotel Gava Mar has five beautifully appointed meeting rooms.Our Gava event rooms are great for giving presentations, holding meetings, exhibitions and events.Rooms at AC Hotel Gava Mar range from 31.75m² to 531.30 m²Rooms are equipped to meet technological and audiovisual requirements for the success of your eventsInternet access, telephone, audio, video projector, flip chart and the Business Facilities service.